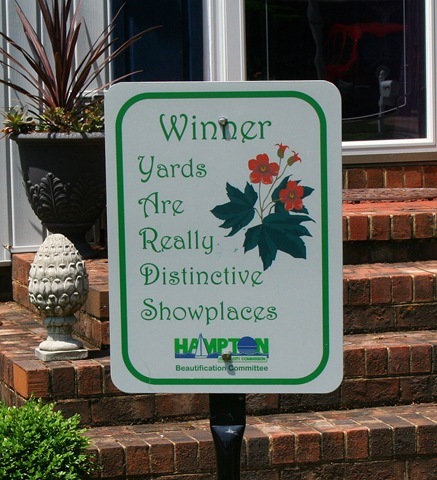 Hampton Beautiful Yards Contest …I WON!! The Hampton, VA Clean City Commission has a contest each month, April through October to encourage beautification throughout the City of Hampton. My yard was nominated and then inspected and I just found out that I won for June. Wooooohoooo!!! Boy, this just makes my weekend. Party time!! Congratulations! It makes all the effort worth it. Love those big trees and the hammock. Good going!! Way to go! Your beautiful yard was a lot of work! I know because after I did a lot of work on mine we had baseball size hail! It broke lots of my bird houses and little pretties. Enough of that–since you are on a roll, stop by my blog and enter our giveaway for Freebird fabric! You can make a purse! Congrats on the award! How awesome is that, Suzy! It is truly an oasis! it looks like you really deserved the win! This is very awesome! Congrats!! I just have to wonder what took them sooooo darn long! Congratulations, what an honor! It’s really nice for someone else to pat you on your back for all your hard work. I’m new to your blog and have enjoyed my visits. Finally catching up on your blog and I see you’ve won an award. 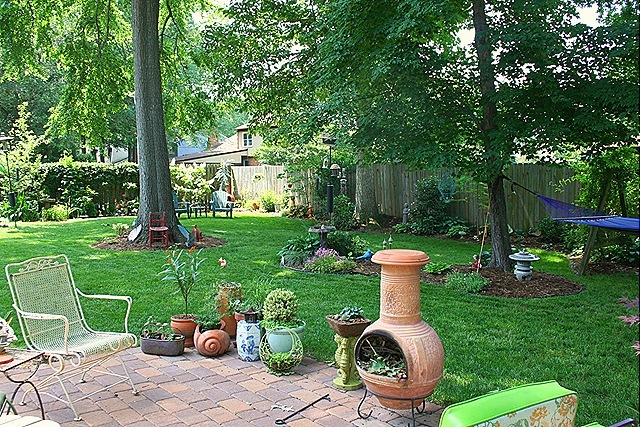 Hampton Beautiful Yards Contest Winner for the month of June. That is so exciting, makes all that hard work you do in your garden worth while. this is a well-deserved recognition of your effort and creativity! congratulations! Very cool! You do have the best style and now everyone knows it. Congratulations! It’s so nice when others appreciate all of our hard work. You’ve definitely earned it! Now THAT took a lot of work! Hard work. Sweat! Congratulations and how proud you must be. It’s beautiful and what an honor! 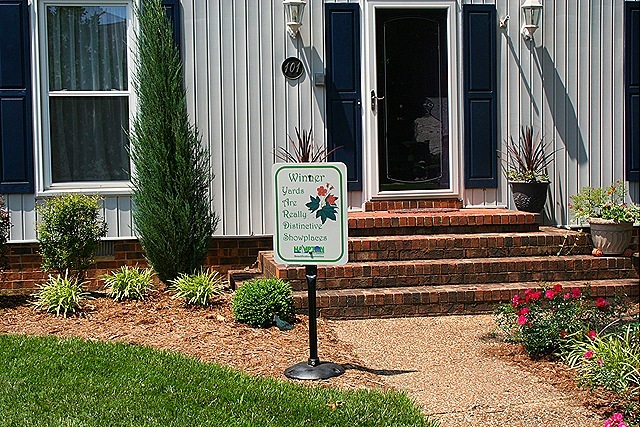 I always love seeing what’s new in your garden – the award is definitely a nice addition! Yay for you!